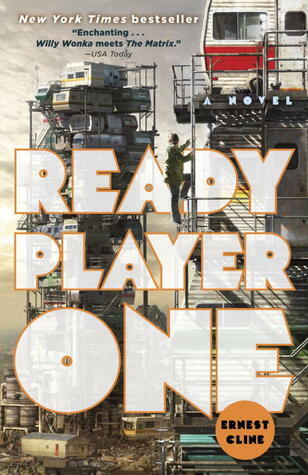 I had to read Ready Player One because many of my Goodreads friends had and they'd rated it 5 stars! It's also shelved as Science Fiction, Cyberpunk and Dystopian, three genres that I really enjoy! While reading this book, I was so torn between reading as fast as I could to find out what happened, to slowing down so that I could savour the story, the characters and revel in all those 80s popular culture references. This book was so good! 5 stars without a shadow of a doubt and it also made it on to my favourites shelf. The writing and the storyline I suppose you could say is reasonably simplistic but it is really well written with some excellent characters which are well developed - the kind you can really care about and identify with. I liked the writing style, in particular all the 80's references - yes I've mentioned them again but they are a really important part of the book and what made it so fantastic. The protagonist of the book, Wade, as I have mentioned already is 18 years old and I do wonder what an 18 year old person would think of this book if they read it now - would they enjoy it as much as I did without knowing what all those book, game, comic book, TV, film references related to?! Sure they'll recognise a few but some are quite obscure. The author is American and so naturally the pop culture references are to do with the American 80's as opposed to the British 80's (which I experienced) and while a vast majority of that decade is shared, there were also many differences, so I did miss some of the references. I can't recommend this book highly enough. It was so much fun and I spent the vast majority of the time fangirling over all the references in the book (and the book as a whole). I see that Ernest Cline has a book set for publication in 2015 and I will definitely be reading that one as soon as it comes out. I'm really sad that the book is over now but I think I'd actually read it again some day.